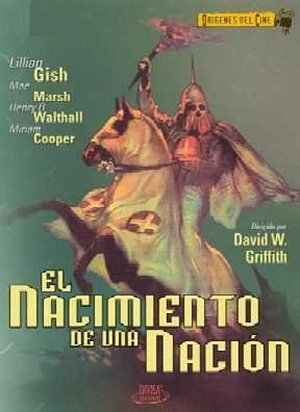 Película que marca un hito en la historia del cine, ya que emplea por vez primera primeros planos y el montaje en paralelo. La acción se centra en la guerra de secesión norteamericana desde una óptica sudista. Mae Marsh, Bessie Love, Erich Von Stroheim, Miriam Cooper, Alberta Lee, Spottiswoode Aitken, Jennifer Lee, Lillian Gish, Ralph Lewis, Henry B. Walthall, Wallace Reid, Josephine Crowell, Elmer Clifton, Maxfield Stanley, Donald Crisp, Joseph Henabery, Howard Gaye, Andre Beranger, Eugene Palette, Mary Alden, Olga Grey, Elmo Lincoln, William Freeman, George Siegmann, Raoul Walsh, Charles Stevens, Tom Wilson, Violet Wilkey, Sam De Grasse, Walter Long, Robert Harron, William De Vaull. David W. Griffith (Dirección), G.W. Bitzer (Montaje), Billy Bitzer (Fotografía), Frank E. Woods, Thomas Dixon, David W. Griffith (Guión), David W. Griffith, Joseph Carl Breil (Música).